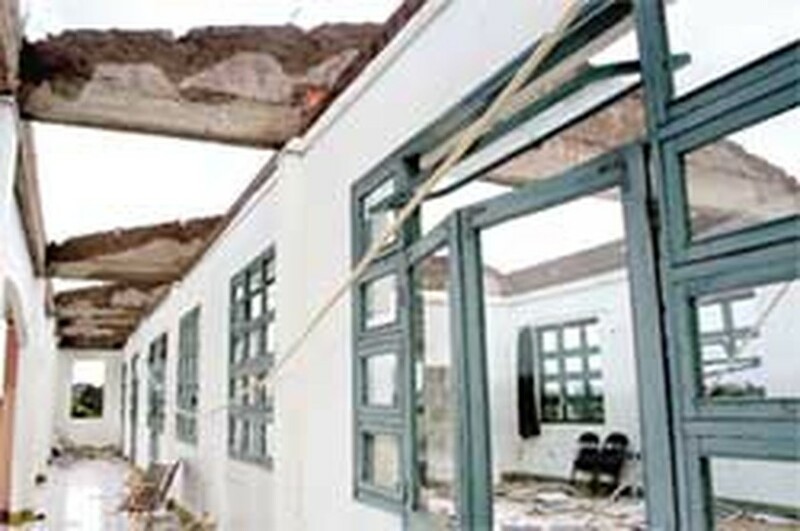 A primary school in Can Gio Dist., Ho Chi Minh City, is damaged by the typhoon. The Ho Chi Minh City Fatherland Front Committee and the Sai Gon Giai Phong newspaper yesterday launched a campaign to call for donations for Typhoon Durian's victims. Chairman of the committee Tran Thanh Long also sent a letter to call on the city residents to participate in easing difficulties of the typhoon victims. 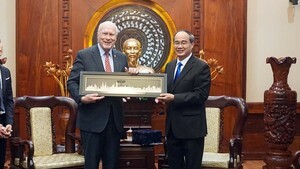 In his letter, he said, "The Ho Chi Minh City Fatherland Front Committee appeals to all walks of life, various agencies, military units and localities for their contribution to abate the damage caused by the ninth typhoon." Districts' Fatherland Front Committees have so far pledged a total donation of over VND2.6 billion. The campaign will take place from December 5 - 31, and benefactors can make donations at the city’s Fatherland Front Committee’s office (55, Mac Dinh Chi Str., Dist.1, tel: 8223212 or 8244848). Also all employees of the Sai Gon Giai Phong newspaper agreed to deduct their one-day salary to support the typhoon victims. Besides, the newspaper decided to give each family of dead victims VND2 million from its aid fund. Typhoon Durian, which hit southern coastal provinces yesterday morning, has killed at least 50 people while 55 others have been reported missing.